The esoteric meaning of the number five is that the five expresses the idea of ​​the “perfect man” with developed will, able to put yourself in the center of the cross of the elements and to manage them. In his divine aspect of the five is a symbol of the spark of the Absolute – the Monad, which is a customized part of the whole. By definition Shmakova “each individual monad – a ray emanated Deity is a certain aspect of the Godhead and the universe.” In the natural aspect of the five means the cosmic sphere with the four elements and the sides of the world, to manage a single top tier – Spirit at the center. In other words, the manifestation of the five in the realm of nature may be referred to as a process of spiritualization of nature or the cosmos. In the aspect of human nature symbolizes the five closed and infinite microcosm Insider Hierophant Magician at the center of the four elements and control both external and internal natural forces. Five is a graphical representation of a pentagram – a five-pointed star, serving either forward or in reverse, that is upside down. Schools and various secret orders fit into the pentagram figure of a man or a goat. If the pentagram straight, then head placed in the highest point, and placed his hands and feet – in other corners of the figure. If the pentagram is reversed, or inverted, then the figure, which are entered into her dark orders and schools, is the figure of a goat, who represents the devil, the father of lies, the bearer of evil. Both direct and inverse pentagram used in occult practices: direct pentagram – in white traditions and orders for protection against evil forces, shocks, curses envoltatsy inverse pentagram – in black boxes and centers for strikes, inducing destructive forces, weaken, or even the death of the enemy. It was believed that the fifth Sephira Sephiroth Tree – Geburah, serving as the basis of the inverted pentagram, participated in the practice of so-called “revival of the left hand” (K. Agrippa), then mage ability to instill fear and paralyze the will of the living beings. Essence marks, and its purpose is derived from its origin, which is considered sacred esoteric teachings and connect with the union even and odd numbers (3 +2), that is, with the sacred cosmic marriage of heaven and earth. Individualized beginning, divine spark, a microcosm in nature are always on the lookout for, stress and improvement. Home symbolized five, seeks to break out of prison grubomaterialnoy incarnated existence of freedom and power over the elements and forms of this world. “The Greeks pentagram was a sacred symbol of light, health and vitality. It also symbolizes the fifth element, ether, because it is free from the influence of the lower four elements. It is called equilibrium, because he shared the perfect number 10 into two equal parts. 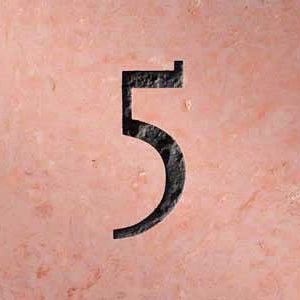 Five essence becomes clear when considering the numbers of those who in various combinations are the number 5. Since 1 +4 is already considered a symbol of triumph over mind over matter. Cherished biblical tradition all forms of matter, including the subtle substance of the soul in its heavenly state, identified with the number of 4 – hence the symbol of the four rivers flowing to the Garden of Eden, a movement which was dominated by the cherub Ezekiel, the ability to rotate the four elements like a wheel. In the case before us the code! 4 +1 = 5, then defeated the Spirit of the action of natural forces. Five, were also engaged in a prominent place in the biblical symbolism, individualizes the principle of movement, searching, dynamic balance, activity. “Traditionally, the number five represents the fall of man, but, being attached to the worldly order of things, it means health and love. Esoteric doctrine sees it not as a consequence, and as the cause of the presence of the five limbs on the hands and feet of man.